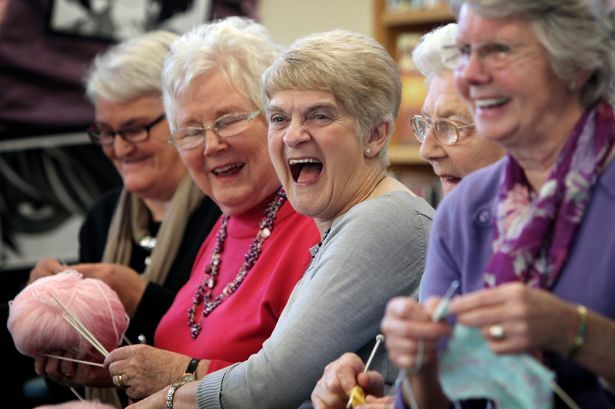 Future meetings of the Harold knitting circle have been cancelled following an outbreak of Hepatitis B among the group. Several women, including chair Gladys Carruthers and treasurer Pearl Winterton are said to be in a serious condition at Dunstable Royal Infirmary. All have been put into strict isolation, prescribed a course of strong antibiotics, and told to sit down with a nice cup of tea and a copy of Woman’s Own. Local GP Dr Evans believes that the practice of sharing needles was commonplace, and that is almost certainly how the disease has managed to spread. Either that or it’s the rent boy they all chip in for at the AGM. Doris Elder who joined the group briefly in December said she’d warned them that their habit of passing unsterilised needles around risked contaminating more than Mohair with Angora. Dr Evans is now working with PC Flegg on a schools programme to warn children about the dangers of engaging in unprotected needlecraft. Alongside which they will be holding drop in sessions at the health centre and handing out free packets of thimbles. 2 Responses to Health scare at Harold knitting circle as members found to have been sharing needles.